Indianapolis, IN - Also taking home the wins this weekend at the Big Go US Nationals were; T.C. Morris in Stock Eliminator; Joe Hessling in Super Comp and Devin Isenhower in Super Gas. Indianapolis, IN - Devin Isenhower advanced to the final in both Super Gas and Super Comp looking for the elusive double-up. In the Oakley Motorsports Top Dragster and Top Sportsman classes it was Zack Sackman and Bob Mandell Jr. hoisting the trophies. Brownsburg, IN - Brad Plourd, Holly Pond, Ala., cruised down the strip in his Ford Roadster for the easy win in the Comp Eliminator final round; Mike Farrell, Louisville, K.y., triggered red at the starting line. Other drivers visiting the winner’s circle were: Larry Gilley in Stock; Ray Connolly in Super Comp; Kevin Adams in Super Gas and David Barton in Factory Stock Showdown. Indianapolis, IN - Chris Foster grabbed not one but two NHRA Lucas Oil Drag Racing Series trophies this weekend in Top Alcohol Funny Car at Lucas Oil Raceway at Indianapolis as racers completed the postponed Lucas Oil Series event from earlier this year along with the weekend’s originally scheduled event. 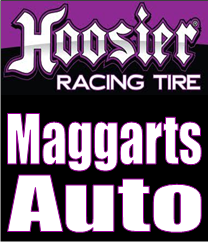 Indianapolis, IN - Coles County tallied up 49 points to hold off Kil-Kare Dragway and Summit Motorsports Park who tied for second at 44. Over 600 racers from 19 tracks competed in the event which celebrated its 40th year of competition. Brownsburg, IN - Multiple winners were crowned in the action packed Chevrolet Performance US Nationals at Lucas Oil Raceway in Brownsburg, Ind. Champions were recognized in Top Alcohol Dragster and Top Alcohol Funny Car, as well as Comp Eliminator, Stock, Super Comp and the rest of the classes that encompass the nationwide series. Norwalk, OH - Jason Lynch marched through the fields in both Super Comp and Super Gas as he advanced to the final round in both classes. The Pleasant View, Tenn., racer took out Pat Martin, London, Ohio, in Super Comp with a lap of 8.905, 171.66 but fell to Marcus Bush, Erie, Ill., just missing the double-up. Bush went 9.879 at 154.97 to Lynch’s 9.867, 161.46 for the double breakout win in his ’77 Nova. Indianapolis, IN - The team out of Norwalk, Ohio notched their third title by outlasting 18 other NHRA Member Tracks in the division, who also picked up wins in 2013 and 2011. SMP led the way with 46 points, while Crossroads Dragway (44) and Lyons Raceway Park (43) came up just short.